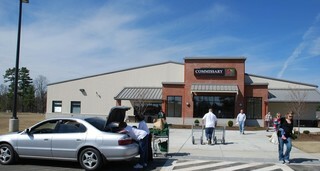 If your search for commissary discounts that you can use on your next shopping trip on McChord Air Force Base in the Lakewood, Washington, area is taking too much time and effort, now’s the time to join MyMilitarySavings.com. Membership is totally free and provides you with access to hundreds of discounts that we’ve brought together from a variety of sources to eliminate the hassle of jumping from site to site looking for the right deals. Plus, we’ll provide you with easy access to the Defense Commissary Agency (DeCA) website, where you can load your Rewards Card with digital coupons that are applied instantly at checkout. When you’re ready to check out the mountain of up-to-the-minute savings that we offer to military shoppers just like you for the commissary at McChord AFB, sign up for your free account at MyMilitarySavings.com today.